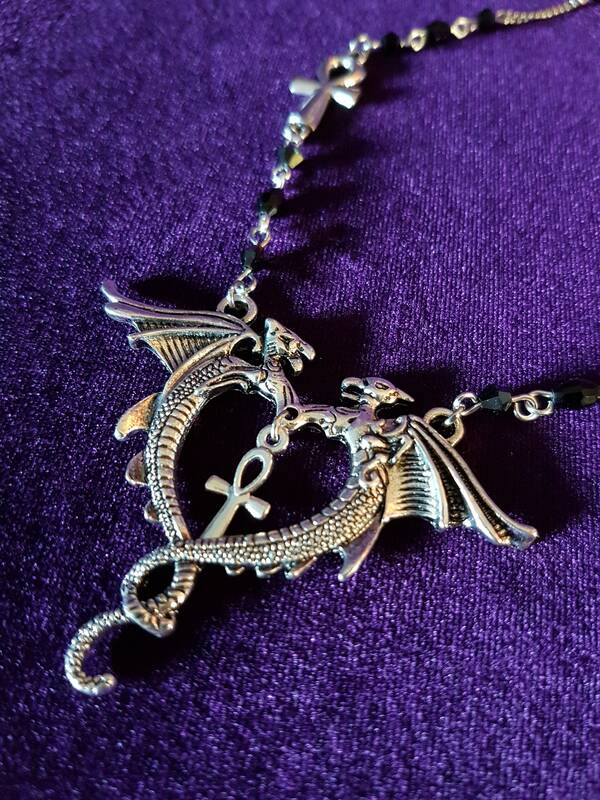 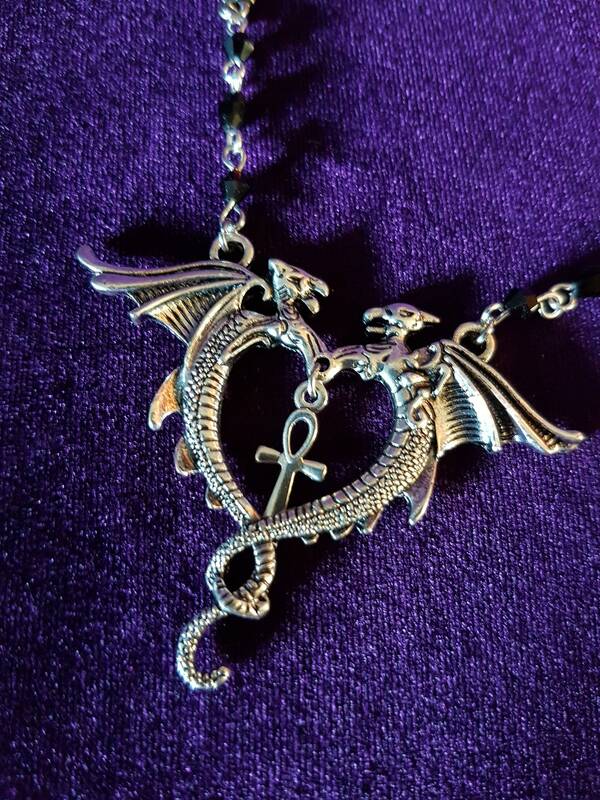 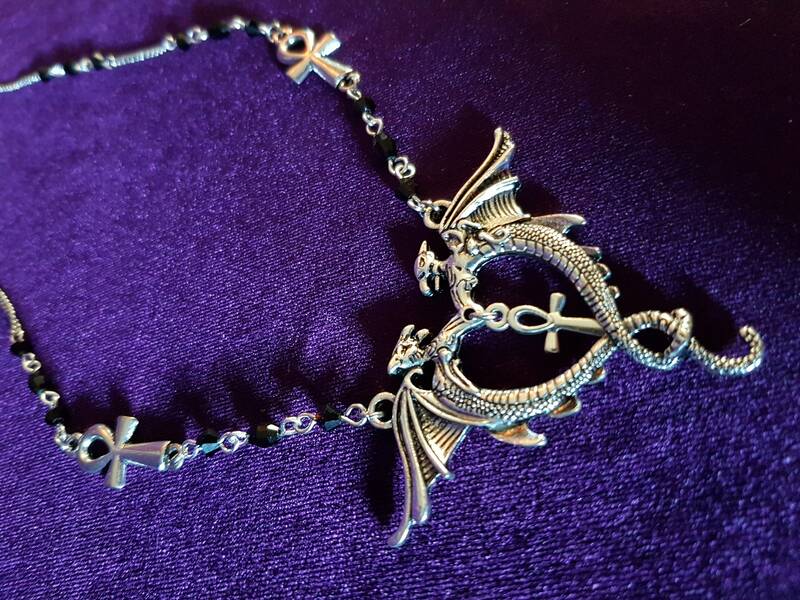 Order of The Dragon Necklace. 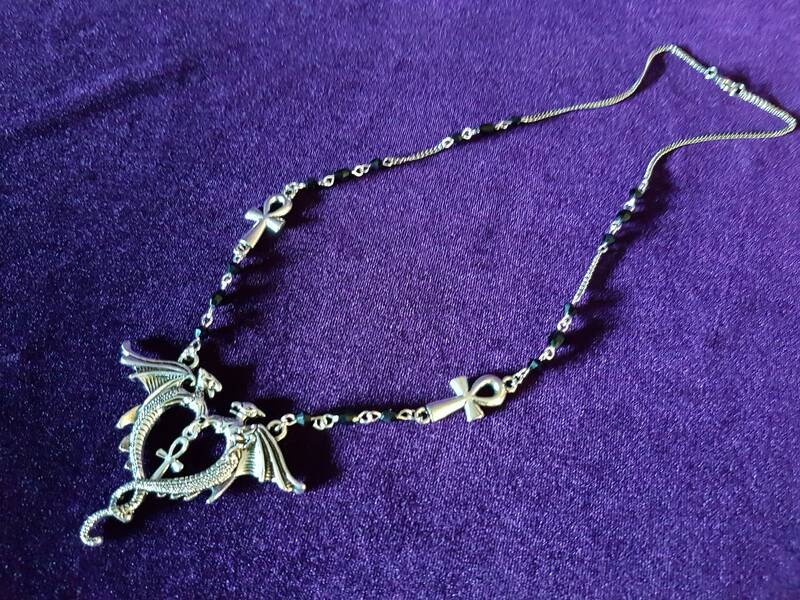 - 50cm Silver colour chain with different black beads. 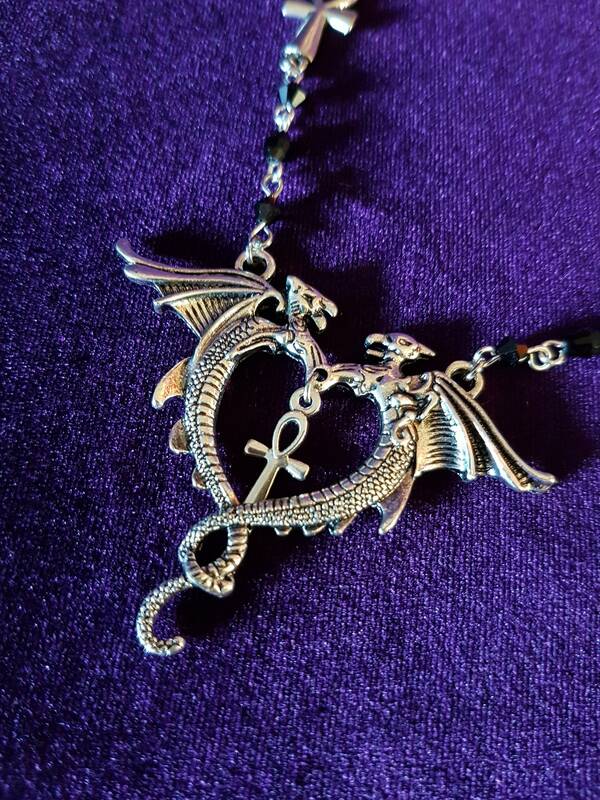 - Flying Dragons United creating a balance around a mini Ankh charm. 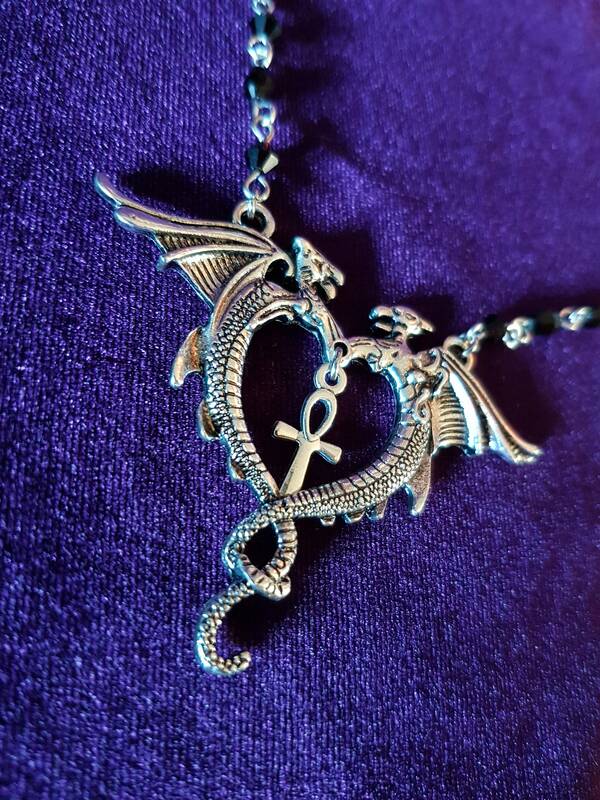 - 2 Medium sized ankhs.